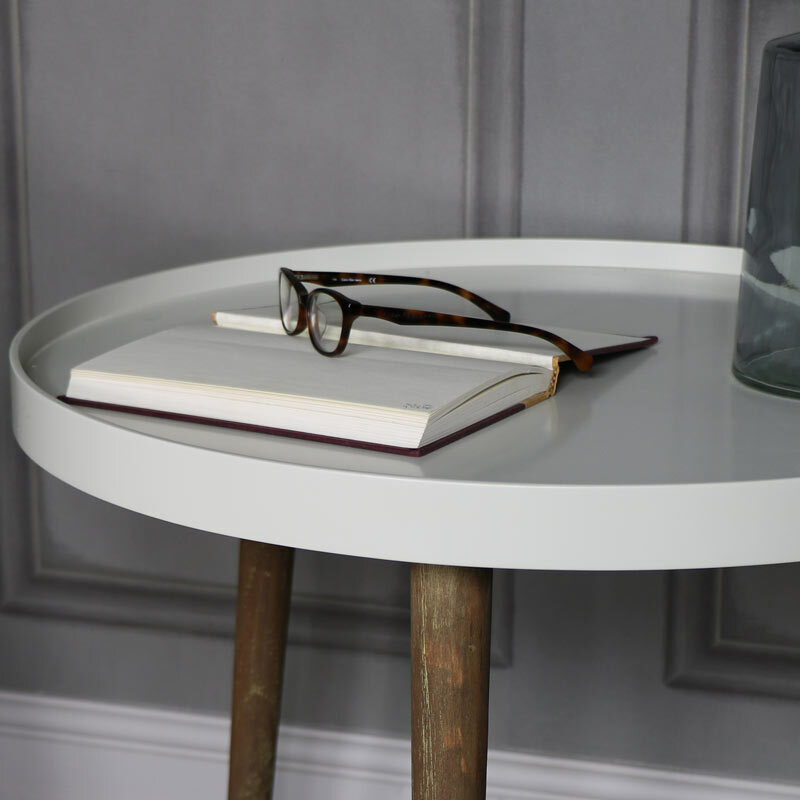 This is a great side/occassional table that will fit comfortably into any living space, offering a functional style and practicality in a minimalistic design. In a smart Scandinavian style, this makes it a versatile piece of furniture for your home. Offering contemporary style in effortless personality. With an ivory top and long wooden legs. This would look perfect placed in your living room, ideal for placing your cup of tea of coffee on while you browse through your favourite magazine, a welcome piece of furniture for your home. 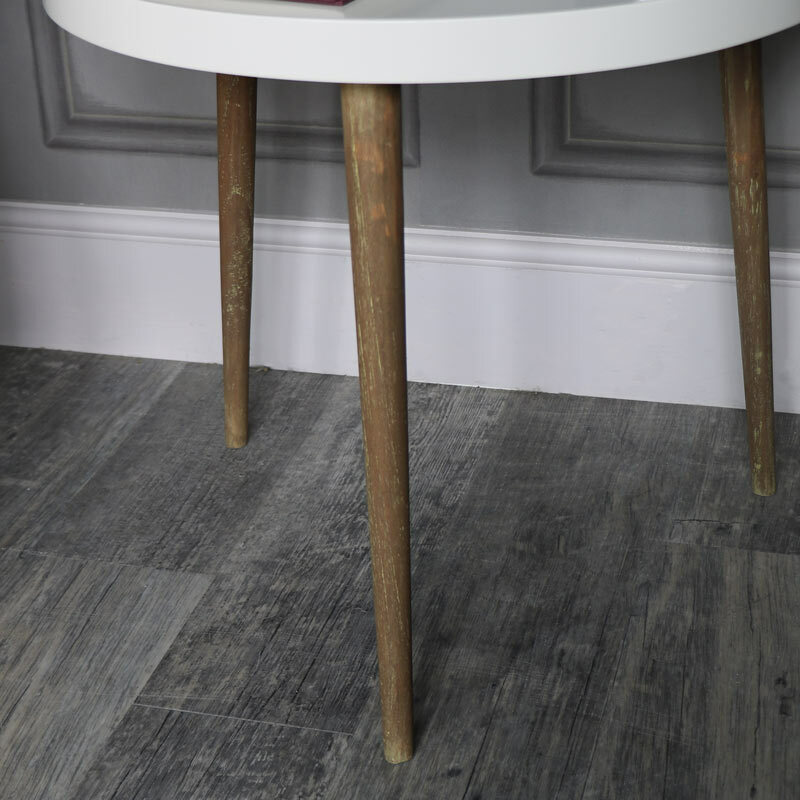 This is a great side/occassional table that will fit comfortably into any living space, offering a functional style and practicality in a minimalistic design. In a smart Scandinavian style, this makes it a versatile piece of furniture for your home. Offering contemporary style in effortless personality. With an ivory top and long wooden legs. This would look perfect placed in your living room, ideal for placing your cup of tea of coffee on while you browse through your favourite magazine, a welcome piece of furniture for your home. 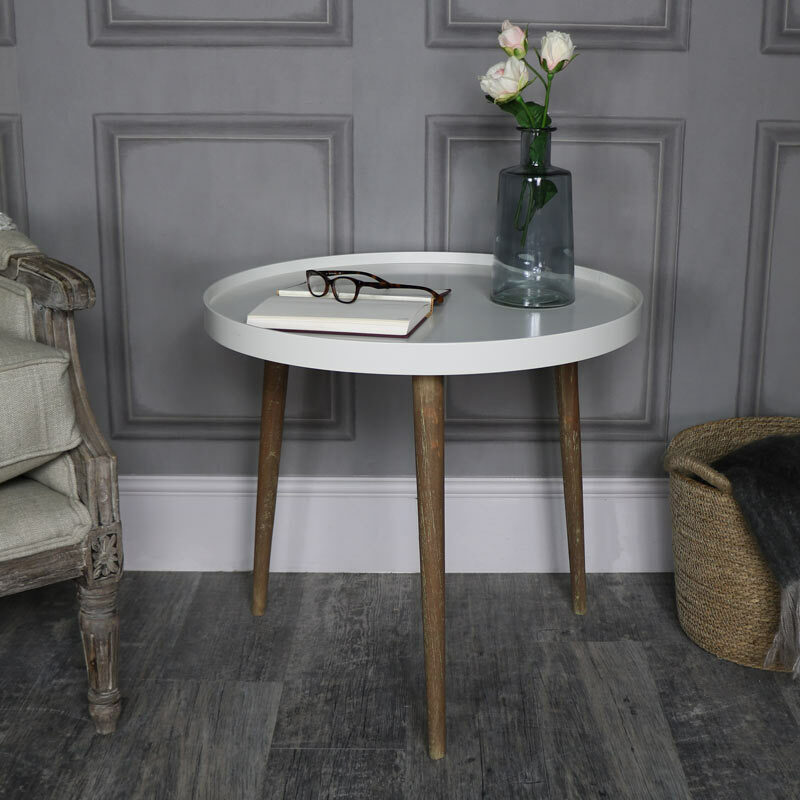 Ivory wooden top fixed on 3 wooden legs, this is a practical and stylish piece of furniture. The top measures 60cm diameter with the leg length at 51cm. Some assembly is required, just attach the legs to the table top, quick and easy to do. If you're looking to add a little more elegance to your decor or completely change your home style, you've come to the right place. We have an astounding range of furniture and home accessories that will allow you to furnish your home with love and add that uniquely personal touch.